Among the earliest known ancestors of Jose Rizal were Siang-co and Zun-nio of Fujian, China. Their son Lam-co migrated to the Philippines in the late 1600s. Lam-co adopted the name “Domingo” and married Ines de la Rosa, the daughter of Agustin Chin-co and Jacinta Rafaela, a Chinese mestiza resident of the Parian. Lam-co and Ines heeded the invitation of Spanish friars to move to the Dominican estate of Biñan, Laguna. Their son, Francisco Mercado, was born there in 1731. To steer clear of the anti-Chinese hostility of the Spanish authorities, Lam-co changed the family surname to the Spanish Mercado (“market”), which also signified their merchant roots. Francisco Mercado married Bernarda Monica of San Pedro, Tunasan in 1771 and sired Rizal’s grandfather, Juan. Juan Mercado served as the capitan municipal of Biñan. With his wife, Cirila Alejandra, he had 13 children; among whom was Rizal’s father, Francisco. As a young man, Francisco ventured to Calamba, then a new Dominican frontier. He applied for a land grant and was even rewarded with more land, so that he shortly became one of the top landholders of the hacienda. When he was 30, Francisco married Teodora Alonso, a Manila-born girl 10 years younger than him. Teodora’s great-grandmother was Regina Ursua of Cavite, who wedded Manuel Facundo de Quintos, a lawyer from Pangasinan. They made their home in San Pedro Makati and gave birth to Teodora’s mother, Brigida, who married Lorenzo Alberto Alonso of Biñan. Teodora and Francisco were wed in 1848 and lived in Calamba. One year later, Governor-General Narciso Claveria issued the dictum decreeing new family names for the Indios to facilitate census work and the collection of taxes. Each province was given a list from which each family could choose a new surname. The Mercados of Calamba chose the unlisted name Rizal, although they continued to use the name Mercado. Their original application was for the name Ricial (meaning “the green of young growth” or “green fields”), which was connected to their livelihood, but this was denied for no apparent reason. 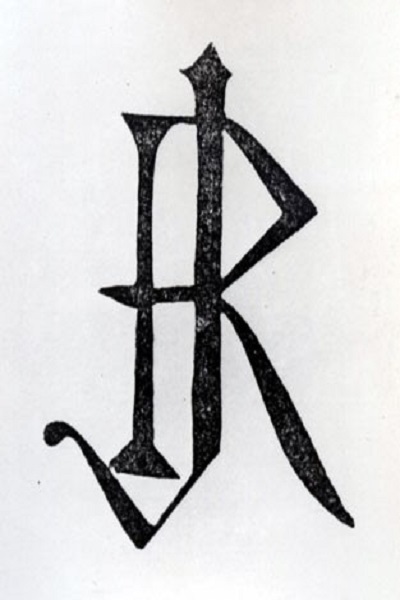 In the same way, the Alonsos of Biñan chose the family name Realonda but continued to use Alonso. This seemed to be a common practice, so that each family ended up with four surnames: each of the old and new family names of both the mother and the father. For Rizal, the compounds were his father’s double surname: Mercado and Rizal, plus his mother’s surname: Alonso and Realonda. Francisco and Teodora’s seventh child, Jose, adopted the name Rizal to enable him to travel freely and to dissociate himself from his brother Paciano, who had gained notoriety by supporting the cause of revolutionary Filipino priests like Fr. Jose Burgos. It was Paciano who financially and morally sustained Rizal in his studies abroad. Joaquin, Nick. Rizal in Saga: A Life for Student Fans. Manila: Philippine National Centennial Commission, 1996. National Historical Commission. “Paciano Rizal.” National Historical Commission. http://www.nhi.gov.ph/downloads/mp0131.pdf, accessed January 20, 2011. Reyno, Ma. Cielito G. “Rizal’s Paternal Lineage.” Pambansang Komisyong Pangkasaysayan. http://www.nhi.gov.ph//index.php?option=com_content&task=view&id=13&Itemid=3, accessed January 20, 2011. Philippine Revolution. “José Rizal.” Philippine Revolution. http://philippine-revolution.110mb.com/rizal_detailed.htm, accessed January 20, 2011.